The idea is that to control the Iranian threat, the West needs to limit Iran’s ability to produce nuclear weapons. While this threat framework may be problematic at best, accepting the realities of the tone of the conversation leads us to accept that something needs to be done about Iran. The question though is what? The only real solution is a multi-country agreement that commits the interested parties to a system of monitoring and reinforcement that will allow Iran to join the international community. Other options include a preventative military attack, economic sanctions, and cyber-attacks. The cold hard reality of the situation is that none of these other options will really limit Iran’s ability to produce nuclear weapons. Of the three options to control Iran’s nuclear production, each seem more far-fetched and irrational once dissected. The John Bolton favored option option of bombing Iran fails to note that we have little knowledge of where the important nuclear sites really are, that the sites we do know about are prepared and hardened for an attack (the likely impenetrable Fordow site is rendered a research facility under the agreement), or that attacking Iran in such a manner will likely unleash their proxies throughout the world to wreak havoc. What is more, force generally pushes the opponent to fight back with more resolve and often achieves the opposite of that which was intended. A military solution will only ensure a hardened Iran intent on demonstrating its ability to produce nuclear weapons. 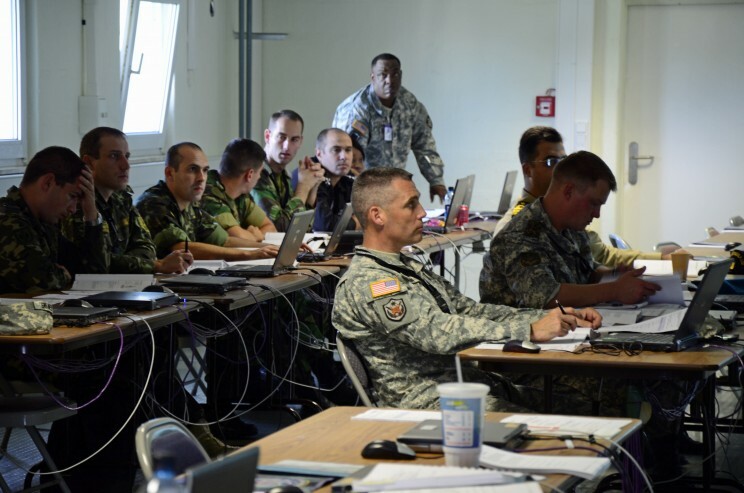 Cyber Endeavor 2011 by US Army Europe Images. CC BY 2.0 via Flickr. Economic sanctions have been in place for decades now. We can make these sanctions smarter, more targeted, and more efficient. Europe can join and strangle Iran by not buying its goods or its oil. Yet the bottom line is that the Iranian regime is insulated from such eventualities. Those who will suffer, like Iraq before it, will be the wider Iranian population. Sanctions are not a rational or moral path to foreign policy achievement. This leaves the new options, the mythical options that statesmen have only dreamed about. The goal of the 2010 cyber-attack on Iran launched by the United States and Israel was to wound and degrade Iran’s nuclear production abilities. This was seen as a safe option in that it did not expose the limitations of a military attack or the ineffective nature of sanctions. If the United States could destroy Iran’s ability to enrich uranium, and do so in such a way that would make it suspect all its own operatives and scientists of sabotage, this would be the magical bullet we have been looking for all this time. Yet cyber options are not the path to victory. The cyber path in Iran, which took the form of the Stuxnet attack, was ineffective. Iran actually enriched more uranium during the height of the operation, likely in order to compensate for the centrifuges that were knocked offline by the cyber-attack. What is more, ten percent of the centrifuges were timed to fail, yet the centrifuges were so old and out of date that they failed at a rate of 11 percent anyway. We have no idea if the cyber action by the United States was actually responsible for most of the damage, yet the current brokered agreement knocks offline two thirds of Iran’s current first generation centrifuges. Possibly a greater, larger, more robust attack could bring down Iran’s internal nuclear networks and destroy their ability to produce uranium, but these options are purely in the realm of speculation. The Stuxnet attack took years to develop, hundreds of millions of dollars, the direct involvement of two of the most capable intelligence organizations in the world, and a series of mishaps and streaks of luck that allowed for the Stuxnet attack to go forward. In the end it was not very successful, nor are we assured another future attack would do much more damage. There are no easy options to stop Iran’s ability to produce nuclear weapons. Military attacks, sanctions, and cyber actions will all fail. All we are left with is traditional diplomacy and mutual confidence in the measures used in the new framework agreed to this week. There is no new tool to save us from our enemies, the real solution takes time and mutual respect that comes from the framework of verification and coordination that the West is establishing with Iran. Image: Iran negotiations about Iran’s nuclear program, Geneva, November 2013. US Department of State from United States. Public domain via Wikimedia Commons. Brandon Valeriano is a Senior Lecturer at the University of Glasgow in the School of Social and Political Sciences. 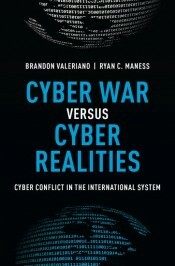 He is co-author of Cyber War versus Cyber Realities: Cyber Conflict in the International System.